With the 2016 NBA Playoffs fast approaching, and the Hornets getting closer and closer to clinching a playoff spot (likely 3-6 seed), it is time that we dig a little deeper into the four keys to the Hornets being successful in the playoffs. A crunch time lineup that Coach Clifford has run with last few games is very interesting. This lineup consists of Kemba, Lin, Batum, Marvin, and Al. Now this lineup isn’t a juggernaut defensively, but when it comes to scoring, ball movement, and creating shots, this lineup takes the cake for the Hornets. It fits Clifford’s “One in four out” philosophy (4 perimeter guys who can shoot, surrounding one big man down low). This lineup can also be interchanged for key defensive possessions, with Lee replacing Lin and Cody replacing Al. Kemba, Lin, and Batum can handle the ball, score, and set up teammates. The three of them along with Marvin all shoot well from 3 (Kemba 38%, Lin 33%, Batum 35%, Mavin 40%), and Big Al can still do Big Al things in the post. I will be very interested to see how much Coach Clifford uses this lineup going forward, especially at the end of games, because I think it has the potential to score a lot of points. Lin, Lamb, Kaminsky, and Al have been a very up and down bench as of late. Some games they can either take the lead against weaker benches, but some games they give away a lead and don’t perform at their max potential. The inconsistency has been alarming however, and the individuals in the unit don’t always seem to perform well at the same time. 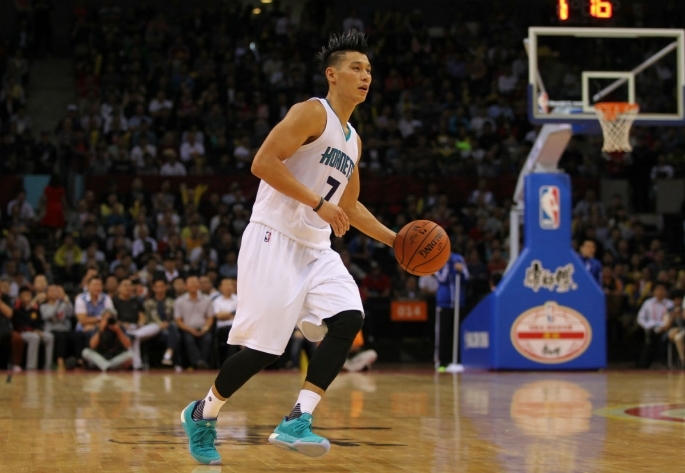 Lin went through a rough patch before going on a recent hot streak. Lamb got benched for Troy Daniels because of his mistakes on both sides of the ball. Frank still has the rookie ups and downs. Al still seems to be getting his legs underneath him after missing a big chunk in the middle of the season. Luckily for the Hornets, the bench goes deeper besides these four. Spencer Hawes is finally healthy, and he can contribute if someone is hurt or not playing well. Also Troy Daniels always seems to play well when called upon and can light it up from downtown any game when inserted. Clifford has tinkered with the fifth man in the rotation trying out Kemba, Batum, and Marvin, and getting mixed results game to game. The bench is going to be very key come playoff time, and if they aren’t playing at their peak, it seriously diminishes the Hornets chances of advancing in the playoffs. Every fan who watches Hornets games consistently knows that Cody can be great or he can be shaky. When he is confident and is playing with confidence, he finishes strong at the rim, sprints from end to end like Usain Bolt, is a strong rebounder, and is a good rim defender (which is vital to the Hornets who lack one). When Cody is lacking confidence, he is picking up cheap fouls defensively, and he seems to get bodied offensively. A key for Cody is to get a bucket early in the game, which is something Clifford likes to do. 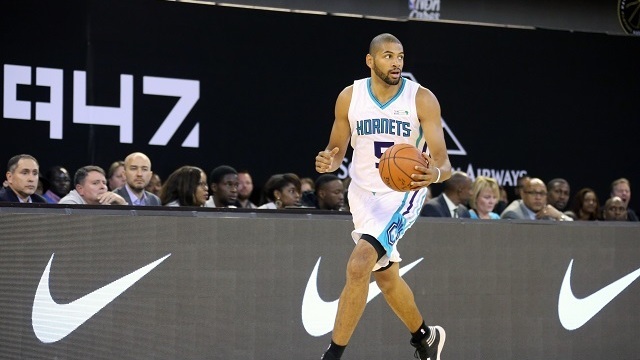 Cody is a huge beneficiary of Nic Batum coming to Charlotte. Many of his easy points come off great Batum passes, often off the pick and roll. Getting easy dunks, offensive rebounds, and putbacks are huge for Cody. The Hornets will need to make sure he is confident come playoff time, with likely first-round matchups of Sullinger/Olynyk, Stoudemire/Whiteside, or Horford. The biggest key to this team come playoff time is simple. Having the two best players on the team play like the two best players on the team. Scoring 20+ points, making plays for others, being efficient. If even one of these two has a bad couple games or a bad series, it could single-handedly sink the teams chances in the playoffs. When Kemba and Nic are firing on all cylinders, it makes life easier for the players around them to get easier shots and perform better as well. If Charlotte can get these four things rolling come playoff time, there is no reason that the Hornets can’t advance to the second round, or even surprise some people and make it to the Eastern Conference Finals. Look, there is no way of stopping the Warriors Small Ball lineup of Steph Curry, Klay Thompson, Harrison Barnes, Andre Igoudala, and Draymond Green. All you can hope to do is slow it down. As of Saturday, they had an offensive efficiency rating of 154.7 and defensive efficiency rating of 84.8, for a total rating of 69.9 points per 100 possessions. They also shoot 64% from the field. No other five man lineup even comes close. Fortunately, they can’t play it all the time. In fact, they’ve only used it roughly 5 min per game and only in 14 games (when you blow out other teams, you don’t have too). But when the Warriors break that lineup out, you know it’s crunch time. There are many different reasons why this lineup is so lethal. Everybody on the floor can shoot. Everybody on the floor can defend and switch on pick and rolls. Draymond is an excellent rebounder and defender against bigger power forwards and centers. Iggy, Klay, and Barnes are all elite perimeter defenders. Oh, and that guy Stephen Curry, the MVP? He can shoot from anywhere within 28 feet and embarrass you. No team in the NBA has a small lineup that can beat them, your best bet is to not let them kill you. So what if it is a tight game and the Hornets need to counter, what lineup should go with? This one is easy, he is quick, he is an improved defender, and clearly he can score. This one may be a bit of a head scratcher, but with PJ’s improved defense he is able to stay out on the floor and hang with this lineup. I considered going with Jeremy Lin here, but with the size difference between Lin (6’3) and Thompson (6’7), I think Lin would have a lot of trouble defending Thompson. Lamb has the size to stay with Harrison defensively, and he has the playmaking and scoring to help put the ball in the basket on the offensive end. He doesn’t play a lot of 4, but he would be the ideal matchup for Iggy. Both good defenders, and Nic can score and make plays for his teammates. He is the same size as Draymond, and is a good rebounder for his size which is required when playing against Draymond. He can defend on the perimeter as well, and offers spacing to the offense with his shooting and passing. I could also see Coach Clifford putting Marvin at the 4 and Cody Zeller at the 5 with Walker, Lamb, and Batum. Marvin is a good enough defender to stay with Igoudala and Cody is a very good athlete for his size. I think there is a good chance Clifford goes with this lineup because he feels more comfortable with players at their natural positions. The biggest thing about the small ball lineup isn’t stopping it, it’s just not getting burned by it. Not only do they score, they swarm defensively, so even with a healthy Big Al, entering the ball into the post for him is nearly impossible. 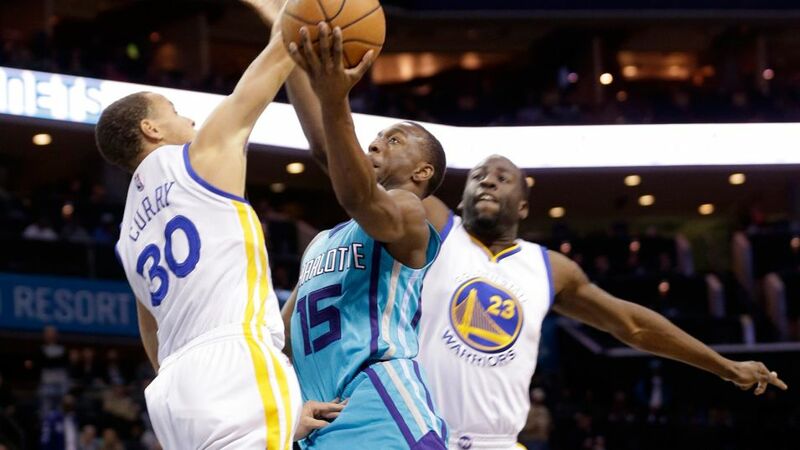 As Hornets fans, we need to hope we see the Warriors small ball lineup, because that likely means it’s crunch time and the game is close. 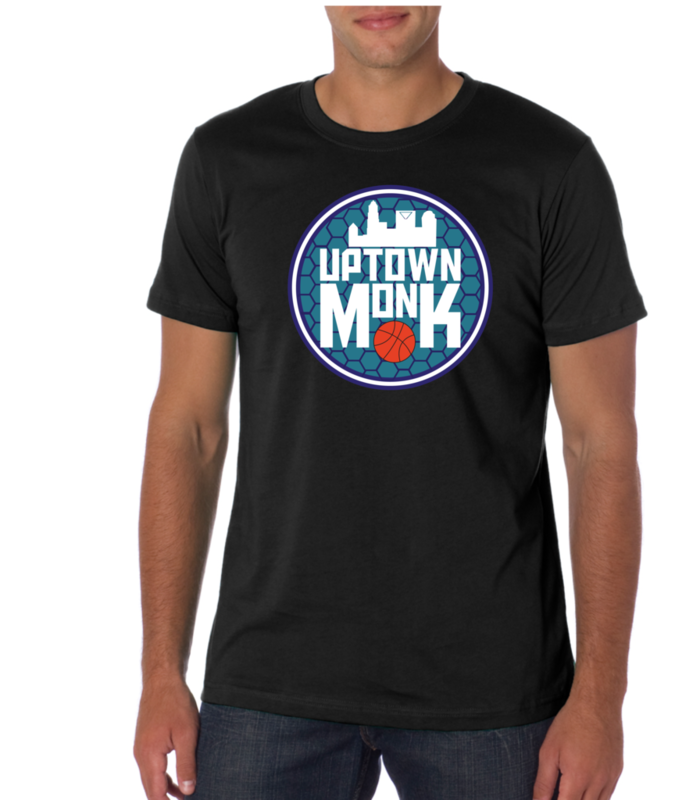 Coming into the 2015-16 NBA season, there are a lot of fans in Charlotte who are buying into the hype of a 7-1 preseason and a team that looks like it will be fun to watch this year. However, looking at the improvements that a lot of other teams in the Eastern Conference have made over the offseason, I for one am very skeptical of how this season will turn out and have a hard time seeing this collection of players sneaking into the playoffs. 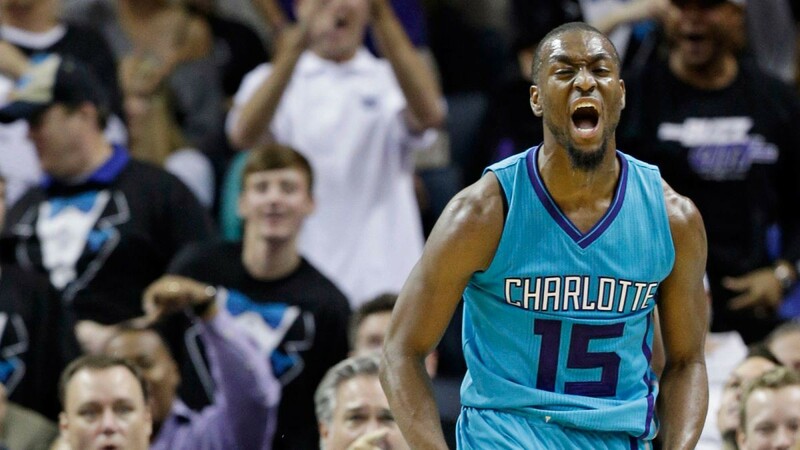 My first concern, which should be obvious to most fans, is the loss of Michael Kidd-Gilchrist for the year. In an offseason that saw MKG sign a 4-year $52 Million extension, there was a ton of excitement about keeping a 21 year old elite defender on the team to build around going forward. That is why it was such a bummer to see him tear his labrum in the first preseason game of the year. Not only is he an elite defender on the perimeter, he is one of the most efficient rebounders at his position. He is also a very good athlete who can get to the rim on the offensive end. In 2014-15, Hornets fans were stoked to see his jump shot improving. Outside of 10 feet, his first two years he shot 28% and 27%, but last season that number jumped up to 40%. Now he still has a way to go, but seeing such a big jump is a positive sign going forward. He also led the team in fast break points per game and ranked among the best in the league at cuts to the rim that generated points. The most staggering stat is that the Hornets were 27-28 with MKG in the lineup, and 6-21 without him last season. All that being said, the loss of MKG is massive and will really hurt the team on both ends of the floor. Some will point to the addition of Nic Batum during the offseason as a reason to not be too skeptical about the loss of MKG. I do believe the addition of the former Trail Blazer will be a positive one and will make the most impact of any acquisition the Hornets made during the summer. He had a down year last season, only shooting 40% from the field and 32% from 3 (career averages of 46% and 36%), but he was banged up last season. In a contract year, I expect him to get back to his normal form. I also expect him to be more aggressive than in years past in Portland, where he was the 4th option behind Aldridge, Lillard, and Matthews. In Charlotte he will be a much bigger focal point offensively, and he will still bring it as an elite defender on the perimeter. Coming into the season, Steve Clifford had hoped to play MKG and Batum together at shooting guard and small forward, but with no MKG, who does that vault into the starting lineup? PJ Hairston. This is a GIANT red flag for me. PJ was very shaky as a rookie, both on offense and defense. When I say the name PJ Hairston, what basketball skill comes to mind? Three point shooting correct? Well PJ only shot 30% from and 32% from the field. When your one quantifiable skill that got you into the NBA is shooting, and you can’t shoot, that is what I call a problem. Watching the summer league games, he didn’t perform well either. If you are an NBA starter, and you can’t even perform at a mediocre level in the summer league, that isn’t ideal. PJ is also a below average defender, which isn’t good when you are also below average on offense. Now I was never the biggest Gerald Henderson fan, but one thing he did was bring it every night on both sides of the ball. That is something I have yet to see from PJ, but I would love to see him take a step forward this season now that he is in a bigger role. My next concern would be the wings on the bench. Jeremy Lamb and Troy Daniels have proven basically nothing in their NBA careers to this point. Jeremy Lamb is in the same boat as PJ. Known as a shooter, but doesn’t shoot at a high percentage at only 34% from 3 for his career. Troy Daniels has been a very good shooter for the small amount of meaningful playing time he has had in his career (39% from 3), but he is only 6’4 so he is a small shooting guard and even smaller small forward. Jeremy Lamb is also only 6’5, so I am unsure who is going to be the backup small forward when Batum is off the floor. Coach Clifford seems to be of the opinion that Marvin Williams is a power forward and not a small forward, which eliminates him from backup small forward. I do believe that there will be stretches each game where Kemba and Jeremy Lin are on the floor at the same time at both guard spots, but I need to see Lamb and Daniels prove it before I actually think they will be positive bench contributors. The bench big men are also quite confusing since they don’t seem to have a lot of variety. Assuming Cody Zeller starts at power forward, you will be looking at Marvin Williams, Frank Kaminsky, and Spencer Hawes as your backup big men. All of them are below average defenders, none of whom can protect the rim. Sure they can shoot a little (which is nice since the 2014-15 Hornets were dead last from 3), but their skills overlap, and that will be a layup line for other teams. This is why losing Bismack Biyombo was a bigger deal to this Hornets team than it would be for most teams. For all of his offensive liabilities, he was a great rim defender; and when he was on the court, opposing teams knew it. Cody Zeller is now the best rim defender on the team, and even he is maybe only average at best. With no MKG stopping people on the perimeter when other teams get into the paint, it will be an issue. Now a lighter and more nimble Al Jefferson should help the interior defense, but he still is a liability on the defensive end. I believe a valuable edition to the team is Jeremy Lin. Watching Jeremy in Los Angeles he was used incorrectly. Jeremy’s biggest skill is as a pick and roll ball handler. Steve Clifford loves some pick and roll, and I’m sure when Lin is on the floor there will be a heavy dosage. Pick and Roll with Al and Cody, and pick and pop with Kaminsky, Hawes, and Williams should be a very effective offense when the team needs a bucket. Plus, with the addition of Batum and Lamb on the wings (in theory), there should be more spacing for the pick and rolls to operate. I hope this season Coach Clifford does a better job offensively and closing games than he did last season. In his first year as coach of the Bobcats, Steve Clifford did a great job of taking a talent challenged team to the playoffs. However, last year he didn’t do as well. I do think a lot of this has to do with talent on the floor (looking at you Rich Cho), but this 2015-16 roster has a lot of money invested into it. I think if this team gets off to a slow start, he could be on the hot seat. He is a very good defensive coach, but this season he needs to be better offensively with more offensive minded players on the roster. I also would expect Al Jefferson to get back near his 2013-14 All-NBA form after a step back last season. He lost roughly 20 pounds in the offseason by cutting out fried chicken, and I think this will help his career trajectory now that he is into his 30’s. He should stay healthier this season, which is a positive because this team takes a massive step back on the offensive end with him off the court. I hope the weight loss also helps him move better on the defensive end because he is a below average defender who often gets targeted by other teams. He is also in a contract year, and at 30 years old he will want to play well to earn one last big deal. Overall, I feel that the biggest thing that will hold back this team is not having MKG. He is an invaluable asset that, on this team, cannot be replaced. With MKG, I think this team could have competed for the 7th or 8th seed in the East; but without him, I think this team is somewhere between 28-34 wins, and back in the lottery again. In a division with Atlanta, a healthy Miami, Washington, and up and coming Orlando team, I have a hard time seeing this team really put everything together to sneak into the playoffs (I hope they prove me wrong).